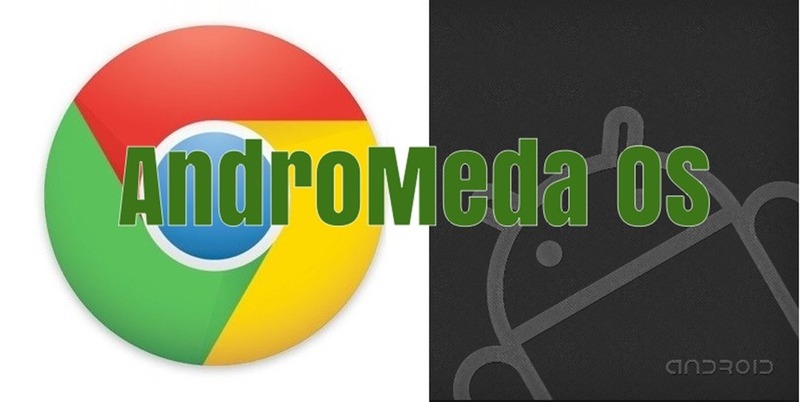 Google Merging Chrome OS With Android OS to Form Andromeda OS; Pixel 3 Will Get it First! According to multiple reports in the past 2 years, Google has been trying to integrate Chrome OS into Android OS to form one common OS. This will not kill Android OS completely, instead it will allow tablets and laptops to run on Android OS. The reports seem to have become clearer and stronger in evidence as the leaks suggest that Google will launch the new OS, named Andromeda, after a galaxy in our universe and from the word Android, with the Pixel 3 tablet from Huawei. Unfortunately, Pixel 3 has been scheduled to launch in Q3 2017, so users will have to wait a year to test the OS. Since the ability to run Andromeda will be incorporated in Pixel 3, internally codenamed ‘Bison’, the laptop will feature a mixture of the two operating systems and will also allow Android apps to run efficiently on the Pixel series. The device is expected to be launched soon and the OS will remind users of Android, more than Chrome OS. Google might want to take cues from HP Spectre, Xiaomi Mi Notebook and Apple Macbook to develop a super-thin laptop with high-end specifications. However, Chrome books came with decent specs and our hopes from Pixel 3 are not very much in this respect. However, Google seems to be pushing away from Chromebooks and venturing into the territory of Macbooks, so this device could feature some great hardware for a good price. Nevertheless, the Android experience on a laptop will be the heart of the system and probably the USP of the device. Whether or not this project sees the light of the day is entirely upto Google, as Google Ara and Google Glass both died a slow untimely death. However, a new OS for laptops from Google has always been on the cards and we might see a running version in the coming months before the actual debut in 2017. "Google Merging Chrome OS With Android OS to Form Andromeda OS; Pixel 3 Will Get it First! ", 5 out of 5 based on 1 ratings. Coolpad Launching A “Beast” On 30 Sept; Here Is What You Should Expect From It! Samsung Moving All Its Devices To Tizen OS? What Happens Next? Swiftkey Goes Free On Android, New Update Packs Many New Features!